Norris Under Counter Dishwasher Range. The NORRIS BANTAM is ideal when you do not have access to 15 AMP power. Manufactured to run on standard 10 AMP power, you could even put this in your home kitchen and have your washing up done in 3 minutes! BT700/3 AWC Pass Through Dishwasher. 3 Phase Power. BT600 AWC Pass Through Dishwasher 15 Amp Single phase Power. IM7 Pass Through Dishwasher. 3 Phase power. 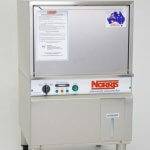 Proudly made in Australia since 1954, Norris has grown into a highly regarded brand for commercial dishwashers. With a large manufacturing headquarters in NSW, Norris provide specialist dishwashers around the world, and are known for creating high quality, innovative products. More than just ordinary commercial dishwashers, Norris’s range is packed with features that are ideal for busy kitchens, to ensure you never run out of dishes. Because Norris are an Australian company, their machines are designed for local conditions, ensuring all their models are reliable at the busiest of times. Designed especially for small to medium commercial kitchens, the Cafe Range from Norris includes the CafeMaster and CafeMate. 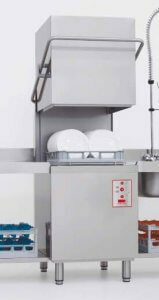 Compact, yet able to wash plates up to 30cm, these machines can wash up to 600 plates per hour, or 30 racks. 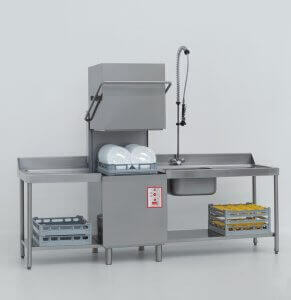 As the name suggests, these dishwashers are popular in cafes and small restaurants, where space is at a premium as they can be installed under a counter. 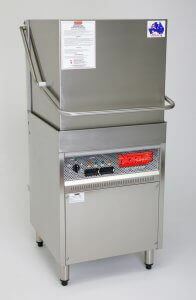 With features such as automatic dispensing detergents, easy push button operation and 60 to 300 second wash cycles, these dishwashers are ideal for a range of catering environments. If you don’t have access to 15 AMP power, then the Norris Bantam dishwasher is another solution for smaller commercial environments. 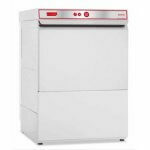 These under-counter dishwashers run on standard 10 AMP power, as found in most households, yet offer quick wash cycles and a high capacity, without taking up much space. 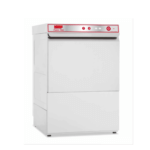 At Warewashing Solutions, we can help you decide the best dishwasher to suit your needs, depending on the space and power available, with the capacity you need. 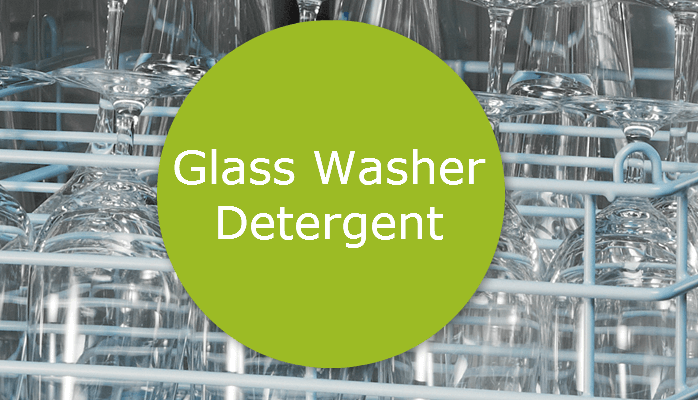 Small cafes and bars might find one of Norris’s glasswashers to be their ideal dishwasher solution. Although glasswashers are mostly designed to clean glasses, some of them can also be used for cups and small plates, so are handy for catering environments where a limited range is served. However, they still manage to pack in all the great features of the Norris range and can handle hundreds of glasses per hour. 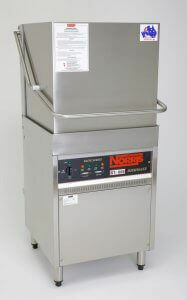 There is a range of glasswashers in the Norris range, including under-bench options, and these models have double skinned walls to reduce noise. This means in smaller premises, they can be placed under a bar or other front of house area, without causing disruption. Some of these appliances offer cycles as short as 30 seconds, ideal for pubs or bars who need a quick turnaround, and a cold rinse can be selected so that glasses can be used straight out of the machine. Norris is well-known for its quality products, and that’s why their appliances come with a great warranty package of two years parts and labour on their Australian-made machines. This gives you peace of mind when you invest in one of these machines for commercial use. Buying a Norris dishwasher from Warewashing Solutions also means we can recommend a tradesperson for installation and servicing, ensuring your machine works at its best. If you’re unsure of which Norris model will suit your needs, then we can help. We offer on-site consultations in the Sydney area, so we can assess which model will work best, or can offer advice over the phone, as well as providing staff training and advice on the best way to use your machine. Our experts are also easy to reach by phone or e-mail, and we can arrange shipping across Australia, with excellent aftercare service and technical advice. 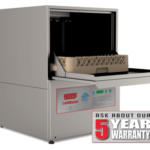 With over 20 years’ experience, Warewashing Solutions can help you find the right Norris dishwasher to suit your needs. Simply call our specialist team on 1300 217 411 to find out more about the range.